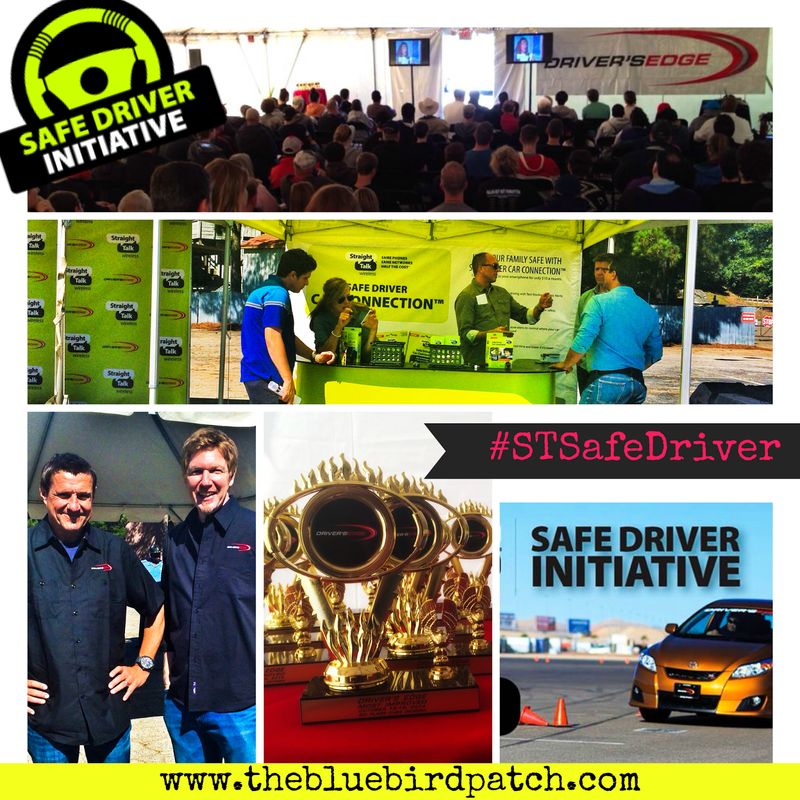 Straight Talk Wireless, the leading US no-contract cell phone service provider and Driver’s Edge, a non-profit organization dedicated to teaching young drivers what is not being taught in traditional driver’s education, held a behind-the-wheel event in Atlanta, GA to honor National Teen Driver Safety Week. 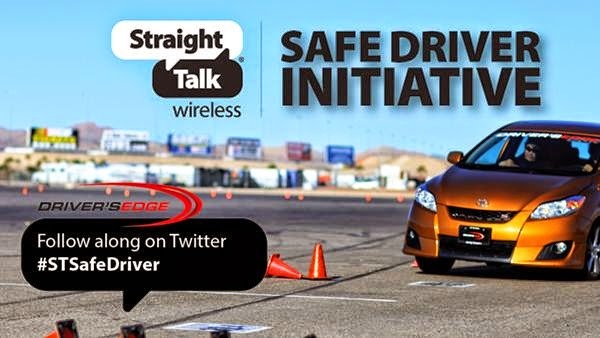 The event is part of Straight Talk’s ongoing Safe Driver Initiative, which recently reported that parents are texting while driving more than teenagers (33 percent vs. 24 percent) – and these new drivers (80 percent) view their parents as the most important influence on their driving habits. Hundreds of families received crash course in the perils of distracted driving at behind-the-wheel. As a Straight Talk Tester, I was invited to attend the media event and interview the amazing crew of Drivers Edge. Drivers Edge program is typically offered twice a day, with each session educating approximately 75 to 100 students. The students’ parents are encouraged to attend and observe as well. After attending a program, Driver’s Edge contacts each student at 12 and 24-month intervals to monitor driving experience following course completion. Drivers Edge does not have a program in the state of Georgia. They are actively looking for sponsors so they can, not only bring the program to every single state, but to make it a mandatory license requirement. • Instruction on proper car maintenance and the things all drivers should know about their cars. The Straight Talk Safe Driver event provided a one-of-a-kind experience that tested the driving skills of teens and parents with and without distractions such as texts and phone calls to calculate their personal “Distraction Score.” The course was aided by the help of Straight Talk’s Safe Driver Car Connection, a device that blocks incoming calls and texts while the car is in motion. There are so many features I like about this device that are not “officially” listed. I'm going to mention then one by one and explain why this is device is more than a way to manage, monitor and maintain your vehicle. 1. It is the best way to locate your vehicle if it ever gets stolen. Imagine yourself going out to run some errands. You get out of your car, and when you come back your vehicle is no longer there. What do you do? Call the police and give a description of your vehicle? But where is it? With Straight Talk's Safe Car Connection you can tell the police exactly where your vehicle is. Imagine how fast the police can retrieve your vehicle with this information. 2. It can be a lifesaver during a carjacking. There is nothing that scares me the most than pumping gas while my kids are in the car. I always fear someone will jump out of nowhere and do a carjacking. We all have seen this happening so many times on the news. Some stories have deadly endings, so I can only imagine how these parents are feeling right now. How they wished they could have done something different, or if there was anything they could have done to prevent such tragedy. Can you imagine facing a similar situation? What is the first thing that will come to your mind? Me? Where are my kids!!!!! Now imagine having this device and been able to locate your vehicle in real time? Having that information in a situation like this, priceless! 3. It can help emergency personnel during an accident. It's 2am and it's raining when all of the sudden you loose control of your vehicle and your car goes down a ditch. Now imagine been trapped in your vehicle without the ability to move or get out. Your family panics because you never made it home and they can't locate you. Now imagine how different this scenario will be if you had this device installed. Your family could locate you and send emergency personnel to rescue you! You have a teen that's starting to drive and you wonder how safe he or she is behind-the-wheel, when you are not in the car with them. You know teens, they love telling you one thing and do something completely different behind your back, but not with this device. 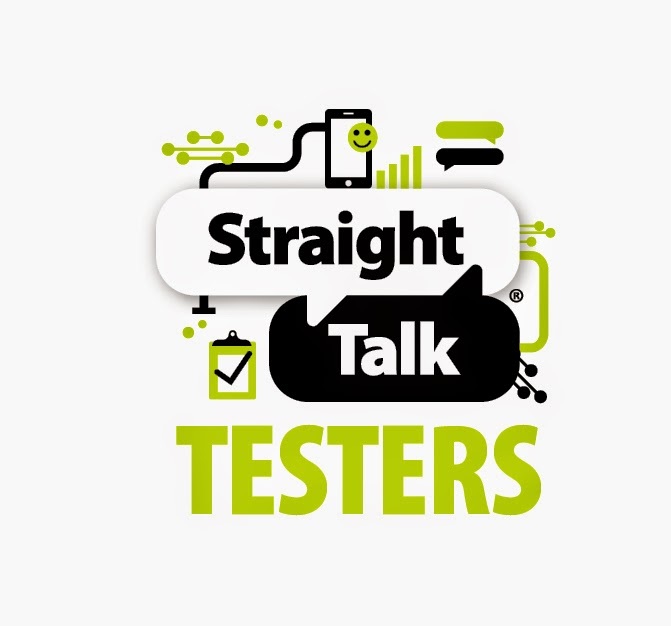 With Straight Talk Safe Driver Connection, there is no room for distracted driving or speeding. With the help of an app you can check your teens driving behaviors in real time. Catch them speeding and remove driving privileges. As simple as that! Drivers Edge mission is to save lives by making our highways safer through comprehensive hands-on youth driver education. They believe in the importance of educating both young drivers and their parents on the responsibilities and potential dangers of operating an automobile. Their goal is to provide young drivers, regardless of social or economic status, with a free program to develop the necessary skills to respond to a variety of hazardous driving situations because this type of training needs to be available to everyone, not just those with means. If Drivers Edge comes to Atlanta next year, my teen would be 15 by then, so I will most definitively take her to meet the crew and take the class. They are really nice people and you can tell how much they love what they do.